Our Excursion Train Ready to Go ! One of Our Special Train Rides ! The museum’s volunteer staff is present each Wednesday and Saturday morning for member work sessions and to assist visitors. The museum is also open by special appointment. 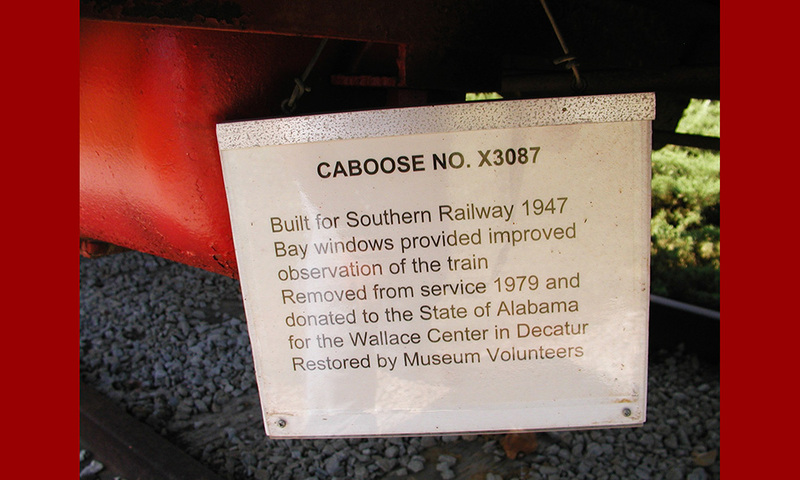 Visitors may take a free self-guided tour and there are tour sheets and museum brochures in the waybill box located on the north side of the Chase Depot. We request visitors to stay off the track do not climb on equipment and to obey all signs. The museum depends on its income from train rides and donations from visitors who are interested in seeing a bit of our rail history preserved. Donations are welcomed!! The centerpiece of the museum features the Chase depot, the smallest union depot in the country since it served more than one railroad when in service. If you visit the museum on a day when the train is running (see Train Ride Schedule), you can ride a vintage train over the museum’s own Mercury & Chase Railroad. All aboard ! Over thirty pieces of major rolling stock have been preserved including both freight and passenger equipment and three historic locomotives. Plans for future development are being made and when completed the museum is sure to be a facility that is both unique and attractive while maintaining a character all its own. 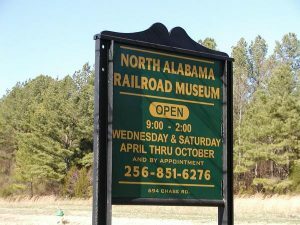 Also, at the North Alabama Railroad Museum, you will find a group of dedicated volunteers who are willing to work long hours doing grueling work in all weather extremes in order to accomplish the things that make our museum attractive and functional.